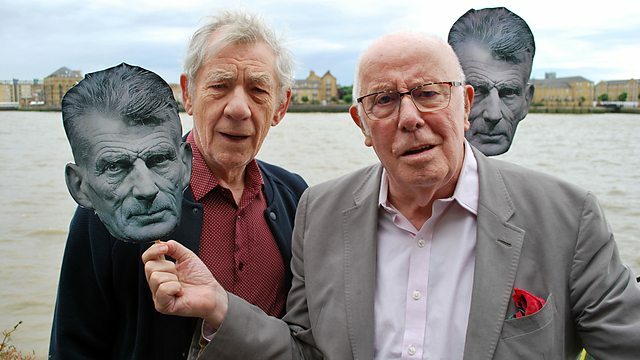 Ian McKellan and Richard Wilson discuss their interest in Samuel Beckett’s drama. 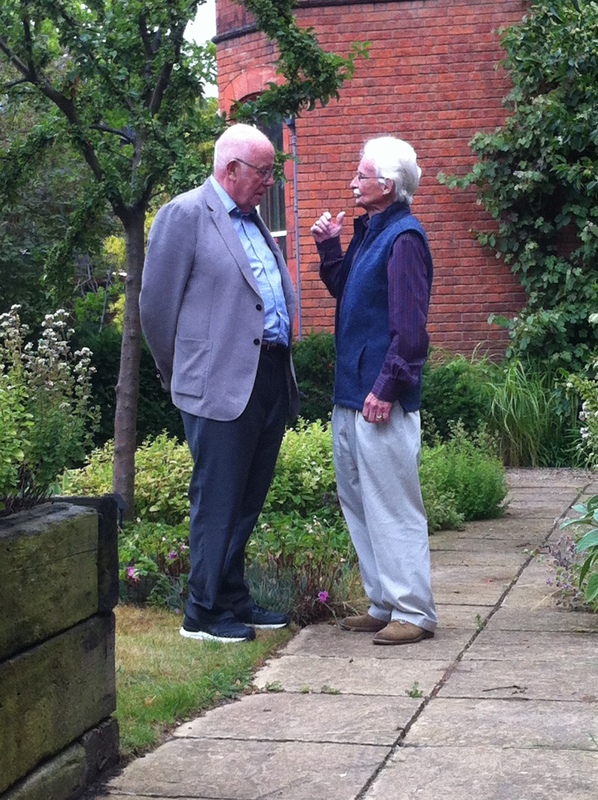 Richard Wilson and James Knowlson during the filming of the BBC’s upcoming Artsnight episode dedicated to Samuel Beckett. 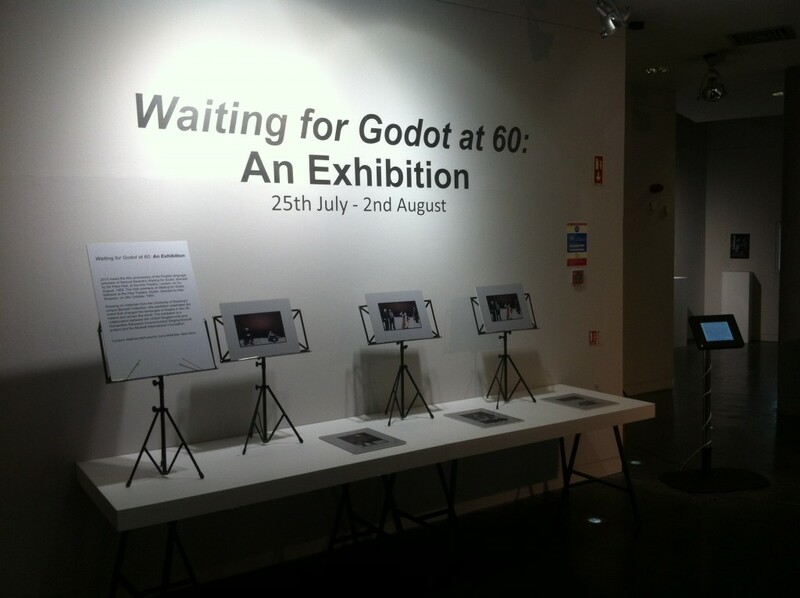 Richard was in Reading to interview the University’s Emeritus Professor and Beckett biographer James Knowlson, and view many of the original items stored in the archive concerning the performance history of Waiting for Godot. Their interview will form part of the next episode of BBC’s Artsnight – dedicated to Samuel Beckett – which will air on Friday 31st July at 11pm on BBC2. 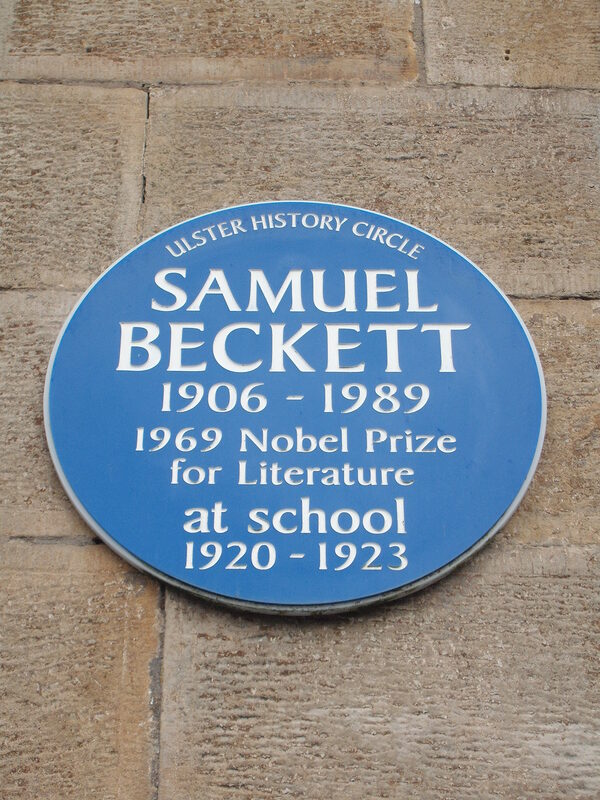 This programme will be presented by Richard and includes interviews with Jim as well as some of the foremost practitioners of Beckett’s drama including Hugo Weaving, Lisa Dwan and Juliet Stephenson, as well as a visit to the Happy Days Enniskillen Beckett Festival in Northern Ireland. During our day of filming, Richard was a real gentleman and great company throughout, happily speaking about everything from his interest in Beckett and Sarah Kane to his love of Manchester United. 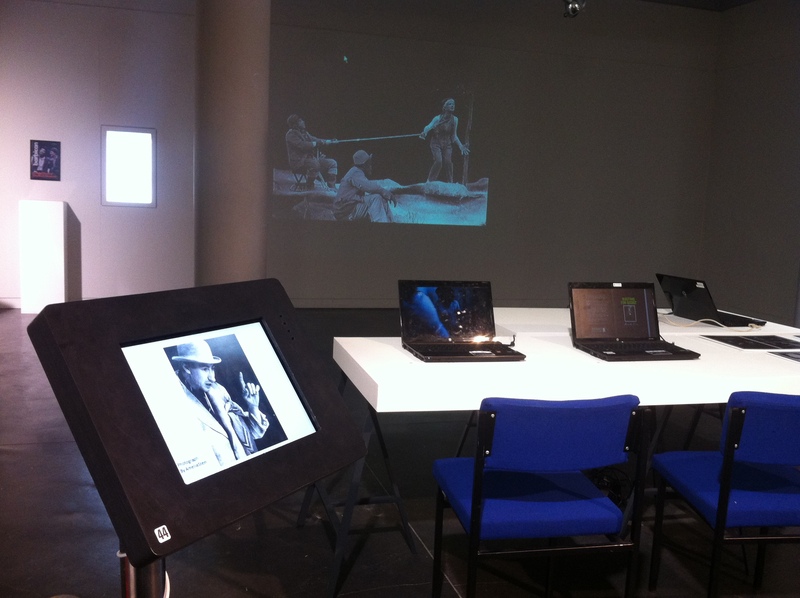 Richard met the University’s Vice Chancellor Sir David Bell and followed up on his genuine passion in Beckett’s work by viewing many of the Collections theatre materials. 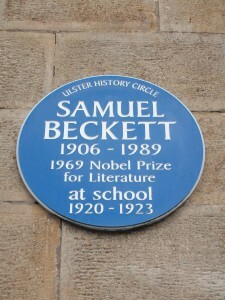 He has a long held interest in Beckett’s drama beyond his notable TV career, and has performed in Waiting for Godot twice: at the Traverse Theatre in Edinburgh (in 1968) and at the Manchester Royal Exchange (in 1999). 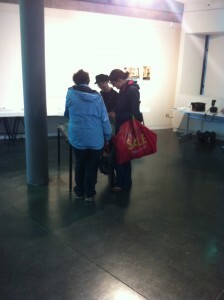 He is presently Associate Director at Sheffield Theatres, where he performed in Krapp’s Last Tape in the Studio Theatre in June 2014. In a lively interview amongst the archival stacks, Richard asked Jim about those first productions of Godot in Paris and London and Beckett’s impact on the theatre more broadly. On one occasion they even reversed the roles as Jim asked Richard about his approach to performing the roles of Vladimir and Krapp. In good spirits, Jim and Richard concluded the interview with their very own double act moment as they read a small section of Vladimir and Estragon’s dialogue. Hopefully that prospect alone will whet your appetite to watch Friday’s episode! 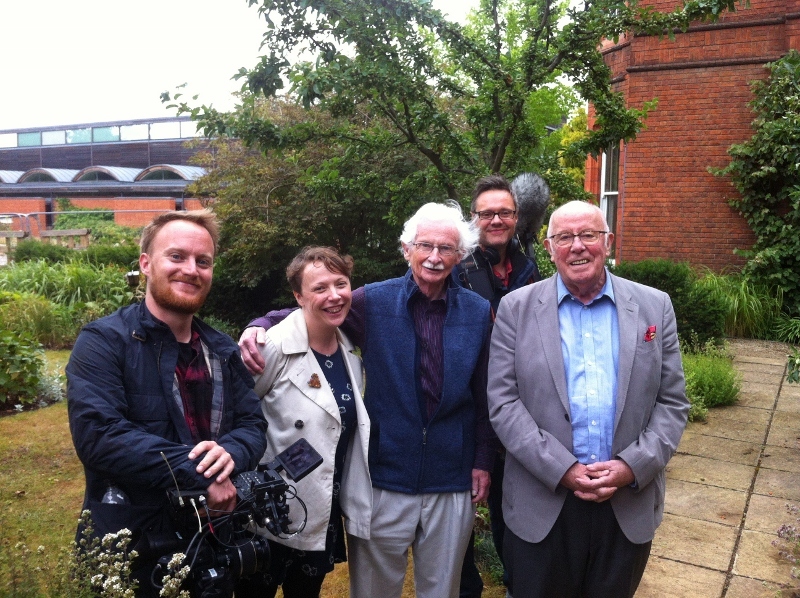 James Knowlson with Richard Wilson and the BBC Artsnight team at the University of Reading.